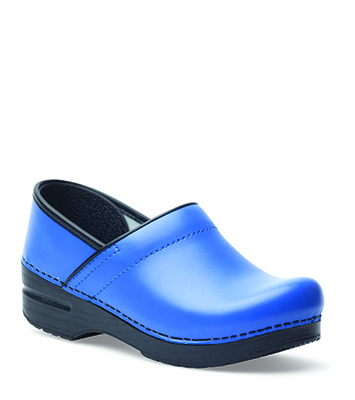 The Dansko Cobalt Box from the Professional collection. Use a damp soapy cloth or sponge to remove surface dirt. Do not saturate the leather. Ordinary scuff marks may be touched up with shoe polish. 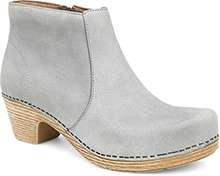 To maintain, buff lightly with the Dansko Anytime Shoe Shine sponge.